Note: The following story was excerpted from the February 2018 issue of Collectible Automobile magazine. Back in the December 2007 issue of Collectible Automobile® we considered the 1995-99 first-generation Oldsmobile Aurora as cheap wheels. Now let’s take a look at the second—and as it turned out, last—Aurora. There was not a 2000 Aurora, but a redesigned one arrived in dealerships that spring as an early 2001 offering. The new car was still based on a tweaked version of GM’s front-drive G-body platform, but was a bit smaller and lighter than its predecessor. Wheelbase shrank from 113.8 inches to 112.2, and overall length was down from 205.4 inches to 199.3. Styling was evolutionary, but the softer shape was arguably not as distinctive as the one it replaced. The ’01 Aurora was available with two engines. The original Aurora’s Cadillac-Northstar-based 4.0-liter dohc V-8 returned in updated form, still rated at 250 hp. New was a 3.5-liter V-6 engine first used in Oldsmobile’s 1999 Intrigue midsize sedan. Based on the V-8, the so-called “Shortstar” six was good for 215 horsepower. The V-6-powered Aurora “3.5” essentially replaced the Eighty-Eight that was dropped after the 1999 model run. Standard equipment included front bucket seats; leather; automatic climate control; keyless entry; a four-speed automatic transmission; 16-inch alloy wheels; and power windows, locks, and mirrors. GM’s OnStar system was a late addition. Base price was $30,469. Of more interest here are the V-8-motivated “4.0” models that started at $34,644. Additional standard features included dual-zone climate control, rain-sensing wipers, traction control, antiskid system, and 17-inch tires. Stand-alone options included Bose-brand audio, a power sunroof, and heated front seats. 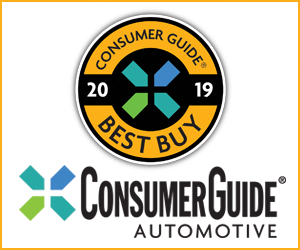 Consumer Guide® found Aurora “a credible attempt at an import-flavored near-luxury sedan, but a nose-heavy front-wheel-drive configuration keeps it from being as athletic as most European sport sedans.” CG also noted the interior was roomier than the original Aurora’s. 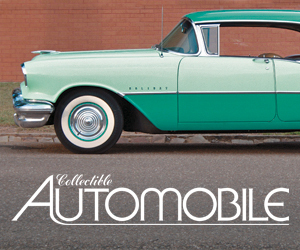 Just before Christmas 2000, General Motors announced that Oldsmobile would be phased out. The original plan was for existing Oldsmobiles to remain on sale “until the end of their current life cycles or as long as they remain economically viable.” Then, in September 2001, GM revealed that Oldsmobile would shut down after the ’04 model year. For 2002, Aurora picked up a tire-pressure-monitoring system, chrome exhaust tips, and an optional “navigational radio” system. The V-6 model ended production that June. The V-8 Aurora entered 2003 unchanged, and the base price ticked down modestly to $34,150. An optional Collector Edition package brought special trim for the final 500 cars built before production ended in May 2003. 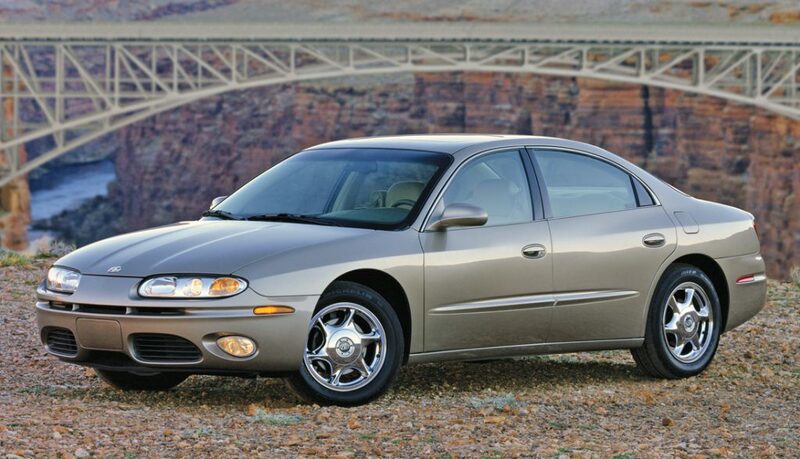 The last Oldsmobile, an Alero compact, was produced on April 29, 2004. According to the Encyclopedia of American Cars, the 2001 Aurora saw production of 16,243 of the V-8s and an additional 37,397 V-6 models. Combined production of the 2002 Auroras was 12,189. There were only 4047 of the end-of-the-road 2003s. Roomier than the original Aurora. The 2003 “Final 500” models are handsome with Dark Cherry Metallic paint, chrome wheels, and commemorative badges. Softer styling not as visually striking as Oldsmobile’s original Aurora. Small “4.0” trunk badge is the main visual differentiation between the V-8 and the more common V-6-powered 3.5. Period reviewers were not impressed with rear-seat comfort, a major demerit for a sedan. Oldsmobile’s second-gen Aurora might not have as distinctive styling as the original, but for fans of full-sized American sedans and V-8 engines there is plenty to like for cheap wheels. The obvious choice here is one of the “Final 500” collector specials. Written by: Guest Author on July 4, 2018.on October 24, 2018.